We offer eleven rooms to keep our service personal and to ensure you feel right at home. If it's a single, double, triple or a family room that sleeps up to five, we will be happy to accommodate you. 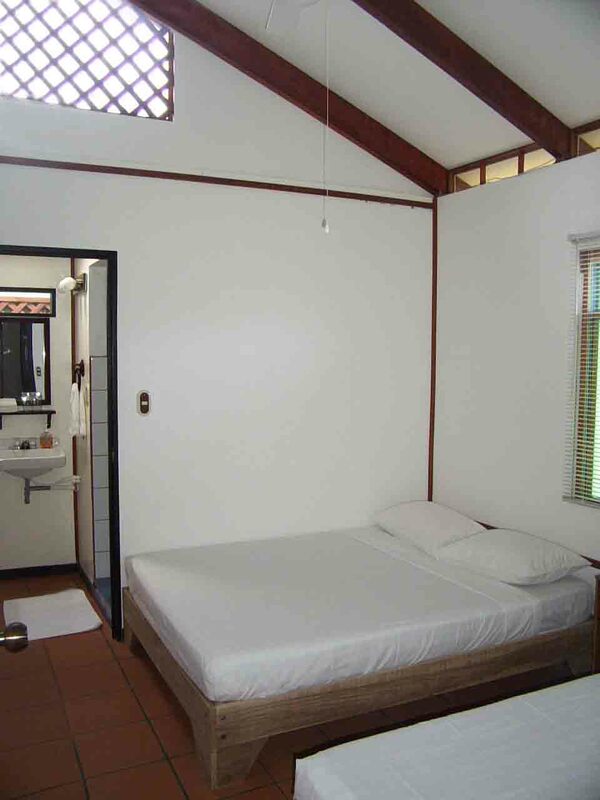 Every room has its own private bathroom with hot water, screened windows and electric fans. Most rooms have a standard double bed and a single bed. They are all modestly decorated to keep things simple but we strive to have each one spotlessly clean. We are proud to offer two new rooms that face the river and are slightly larger than the other rooms. They are often asked for so reserve early to avoid disappointment. We consider our rooms to be humble but clean and comfortable. Most people spend the vast majority of their time in the common areas where there is the best view in the entire village of the river and rainforest on the far shore. Some evenings provide spectacular sunsets over the forest with colorful reflections on the water. One of our standard rooms.